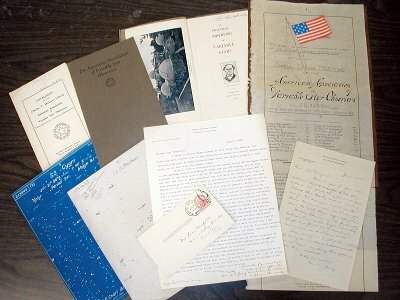 The historical documents and archival records at the American Association of Variable Star Observers (AAVSO) are for the first time being evaluated, arranged, and cataloged in a systematic and comprehensive way. The goals of this project are to establish an archive that is efficiently accessible, and to produce a descriptive catalog that will be useful both as a finding-aid and as a research tool. The AAVSO Archive Project is a major first step towards preserving the AAVSO’s institutional memory. The continuing maintenance of the archive, using established rules and procedures, will ensure that our institutional memory will be dynamic, that it will be regularly exercised with additions and research, and that it will be available to many.